The Bamboos (Bambusoidaea) consists of 1439 different species in 116 genera. It is one of the 12 subfamilies of the grass family (Poaceae) and the only one to diversify in forests. Bamboo is a great plant for individuals concern with a green environment. Bamboo is the fastest growing plant on this planet. It has been recorded growing at an amazing 47.6 inches in a 24 hour period. Bamboo is a crucial element in the balance of oxygen and carbon dioxide in the atmosphere. A grove of bamboo release 35% more oxygen than an equivalent stand of trees. Because of this, planting bamboo is a great way to reduce your carbon footprint and help fight global warming. Bamboo is a viable replacement for wood. It can be harvest in 3-5 years versus 10-20 for most softwoods. It can out yield pine 6 to 1 in biomass production. It is also one of the strongest building materials with a tensile strength of 28,000 psi. To help give you an idea how much this is, mild steel measures 23,000 psi. 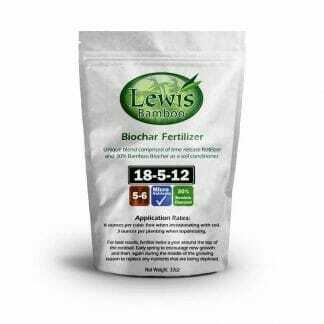 It is a great soil conservation tool. It greatly reduces erosion with a sum of stem flow rate and canopy intercept of 25%. This dramatically reduces rain run-off, preventing massive soil erosion and making it very earth friendly. 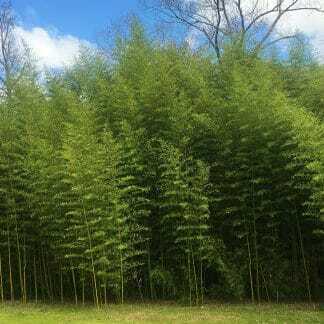 Bamboo can be eaten (new shoots), made into fiber for clothing, it can be used in concrete reinforcement, in can provide great livestock feed with the foliage being up to 22% protein, it can be machined into numerous forms of lumber, etc. It might be easier to compile a list of what bamboo cannot be used for than what it is used for. 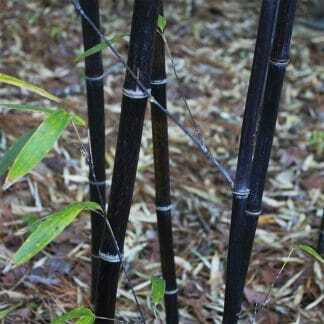 Bamboo can also tolerate extreme conditions that most plants cannot. It was actually the first plant to re-green after the atomic blast in Hiroshima in 1945.